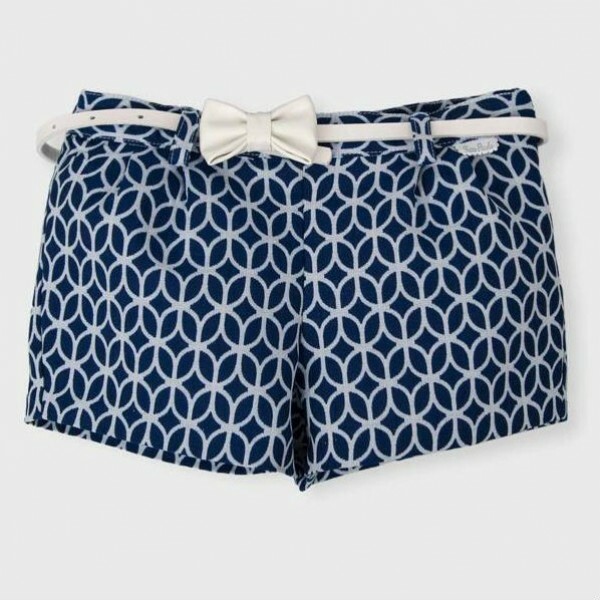 These beautiful patterned shorts from Tutto Piccolo are the perfect fit for the summer. Made in a cotton blend with front pleats, a concealed zip at the side and a striking contrast white belt, with a bow at the front, they’re going to look stunning, however you style them up. They're really easy to wear, whether it's dressed down for a day at the beach or dressed up for an evening barbecue. The stylish navy blue is perfect for summer. You can team them up with just about anything and the very feminine design will have her looking stunning.